Two long-standing players in the event technology industry will integrate RFID attendee tracking with a full-service event data analytics platform. This partnership will open new doors to both companies by integrating enhanced attendee tracking with a robust event data analytics platform. Last week, Wrist Marketing/ Global Barcode consolidated an agreement with Brolly Event Solutions in Denver, Colorado. This new agreement outlines a partnership between these two long-standing event industry suppliers. Brolly will now offer the proprietary RFID wristband attendee tracking service developed by Wrist/Global as part of their comprehensive event technology platform under the name Brolly Live. In return Wrist/Global will expand their offerings in the UK to include key Brolly technologies such as: registration, lead capture, and event commerce solutions. This partnership will open new doors to both companies by integrating enhanced attendee tracking with a robust event data analytics platform. Enhanced services will include: ticketing, access control, cashless payments, brand engagement, build and break management, and social media integration. 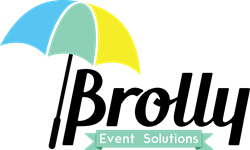 Brolly Event Solutions is a division of Data Connect Corporation based in Centennial, Colorado. Since 1999, they have been providing a trade show and event technology platform that analyzes, monetizes and optimizes client events. In 2005, the company released a system called Show Expert, which allowed touch-screen based buying to take place at any event. This focus on event commerce has evolved into the comprehensive Brolly Event Platform, which focuses on event analytics, intuitive system design, and event-day buying. To date, Brolly has generated $3.1 billion in customer revenue, sold 125 million cases of customer product, and registered over 2.5 million event attendees. Wrist Marketing and Global Auto ID, formed in 2010, make up a Partnership that has designed and developed RFID Wristbands that can be processed through bespoke Desk Top RFID Printers. The RFID Wristbands can be processed in the same way as a ticket and provide solutions for: ticketing, access control, cashless payments, social media integration, enhance welfare, build & break management, accredited staff management and monitoring. In the coming months, Brolly and Wrist/Global will work to bring their services into markets in the US, Canada and UK.